The first thing that people think about when you mention Nottingham is usually the legend of Robin Hood. It is also famous for lace making and the tobacco industry. However, it is also home to a large number of paranormal happenings. 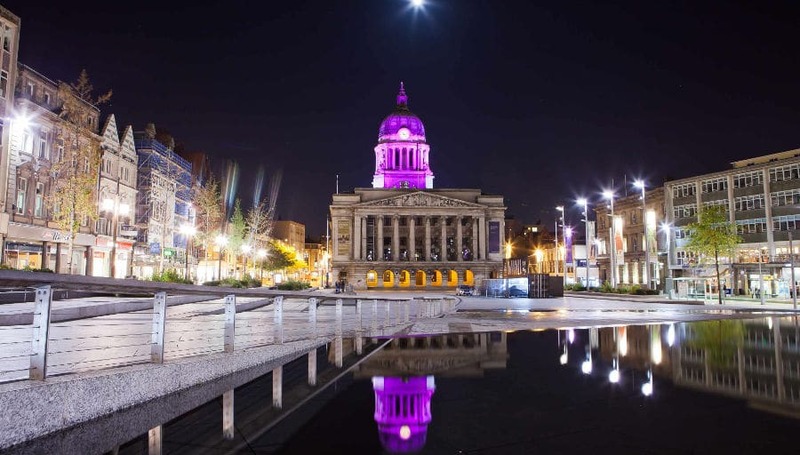 Let’s take a look at where you can find some of the resident Nottingham ghosts. 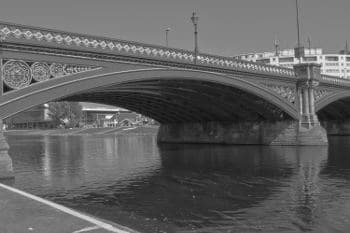 Bridges seem to be really common locations for hauntings and Trent Bridge is one of the most haunted spots in Nottingham. Lots of people have reported seeing a ghostly figure looking over the edge of the bridge and then falling from view. This has led to the assumption that this is the ghost of a suicide victim. In fact, some of the reports also claim to have actually seen the ghost jump from the bridge, but it always disappears before it hits the water below. However, this is not the only spirit that is reported on Trent Bridge. There have also been accounts of the transparent figure of a jogger running on the bridge as well. Wollaton Hall is an Elizabethan mansion that sits in the very heart of Nottingham and is one of the area’s most haunted buildings. 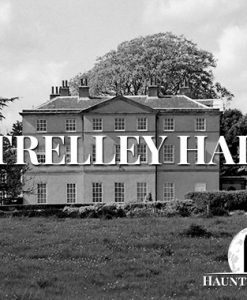 It was built by Sir Francis Willoughby and remained the ancestral home of the Willoughby Family until 1925, when it was taken over by the council. 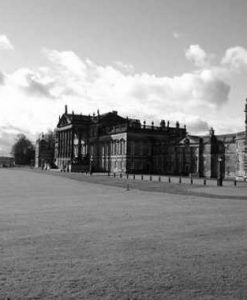 According to local legend, the property is haunted by Lady Middleton. In life, she was paralysed following a fall and in death she is said to haunt the rear of the property, particularly room 19. 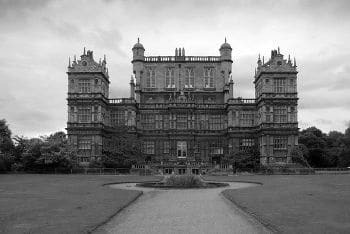 On a non-paranormal note, you may recognise Wollaton Hall as Wayne Manor from The Dark Knight Rises movie and the property sits about 5 miles north of Gotham, Nottinghamshire which is where the fictional Gotham City got its name! 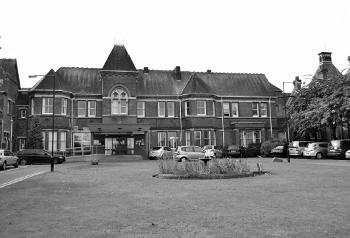 Mapperley Hospital closed in 1994, but the building now serves as the home of Nottingham Healthcare NHS Trust. Ever since the hospital closed down, the admin staff who now work in the building have been reporting a number of strange occurrences in the building. 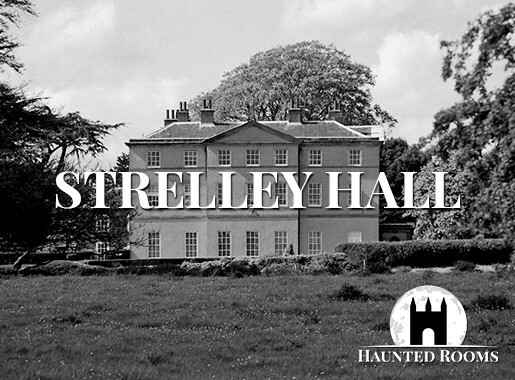 Staff often here their names being called by an unknown, disembodied voice and the spirit of a female has been seen gliding down the corridors. The former ITV drama series ‘Staying Alive’ was filmed in the building and shooting was disrupted several times by the ghostly shrieking. Clifton Hall sits atop a cliff that overlooks the River Trent. 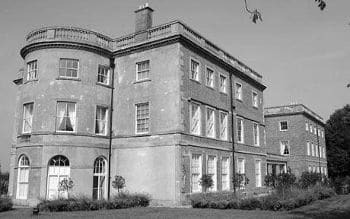 It is a Grade I listed mansion built by the Clifton family in the 13th century. Among those who the Clifton’s hosted as guests over the years was King Charles I in 1632. 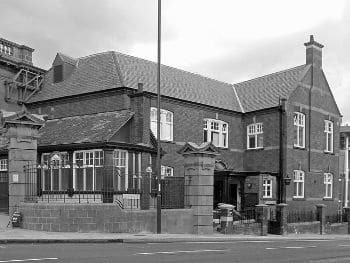 In 1958, the building became Clifton Hall Girls’ Grammar School and then in 1976 the building began to be used by Nottingham Trent University. With such a varied history, it is hardly surprising that Clifton Hall has more than its fair share of spirits in residence. They mostly seem to take the form of children. It is common for people to hear knocking on the walls and doors often slam shut of their own accord. 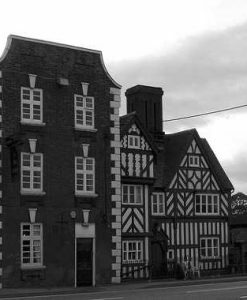 Perhaps the most chilling paranormal experience linked to Clifton Hall is the ones reported in 2006 by Anwar Rashid who owned the building at the time. He has a series of very unpleasant paranormal experiences in the building culminating in blood splatters appearing on his baby’s quilt. At this point he has to leave the property, especially considering his attempts to rid the building of unwelcome spirits with the help of a psychic were unsuccessful. 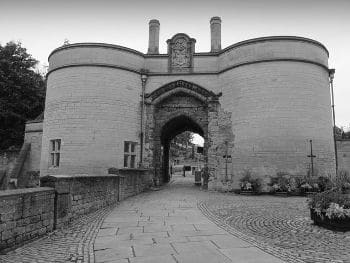 Nottingham Castle is said to be haunted by a couple of different ghosts, but this is one haunted location which investigators should approach with caution. Roger Mortimer is the first spirit in residence at the castle. Records show that he was actually imprisoned in a cell within the castle before being dragged off to be executed in 1330. Vistors report hearing his restless spirit pacing around that cell. The other ghost is said to be his lover, Queen Isabella. However, she is one spirit that you certainly do not want to encounter. She can be heard screaming within the castle walls, but if you actually have the misfortune of laying eyes upon the apparition of the Countess of Nottingham, then you have reason to be very afraid since it is said that she will only show herself to those who are destined to die before the year is out. When reports of paranormal activity come from respected members of the community, such as police officers, the claims become that little bit more credible. That is exactly the case with the British Transport Police Station in Nottingham. The building, or more specifically the toilet, is said to be haunted by a male spirit. The first report of the strange activity was recorded in 1977 when an officer working alone at night heard a door slam and went to investigate. What he found was a set of wet footprints heading to the toilets. However, on entering the toilets he found them to be completely empty. Another recorded report is dated 2007, thirty years after the first. This time the officer in question actually saw a man walking into the toilets, but again on following him in the room was found to be completely empty. 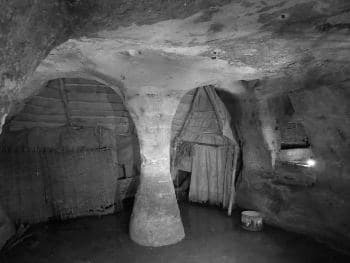 One of the most surprisingly haunted places in Nottingham has to be The City of Caves. This dark network of medieval era caves lies underneath the Broadmarsh Shopping Centre. The caves were used as bomb shelters during the Second World War and this seems to have left a mark on the area since visitors have claimed to hear what sounds like explosions going off above them when they visit the caves. They also report being showered with stones, as though they have been shaken loose by bombs dropping overhead. Aside form these unexplained events, there have been plenty of other reports of alleged paranormal activity in the caves including disembodied voices, cloudy apparitions and ark shadows. There are also reports of the ghost of a crying woman in Victorian style clothing. Of all of the haunted places in Nottingham, the most famous is definitely the Galleries of Justice. This building was used for law related purposes for over 600 years, even in more modern times since it was a police station from 1905 until 1985 and there were active courtrooms in the building as recently as 1986. 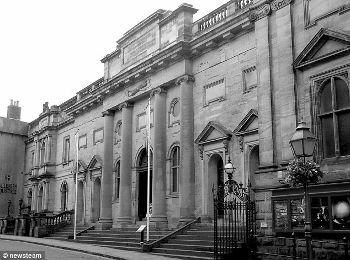 It is believed that the Galleries of Justice is still haunted by the spirits of criminals who stood trial here before being executed. The main entrance of the building is probably one of the most active spots within the building. The cleaners working in the building now point blank refuse to work in the hall on their own in case they encounter a ghost. There are at least three spirits in the entrance hall including s soldier, an old lady and a Victorian man dressed in fine clothing. The courtroom is also a very active location with frequent light anomalies, strange shadows, groans, disembodied screaming and even knocking in response to questions asked of the spirits which suggests an intelligent haunting. 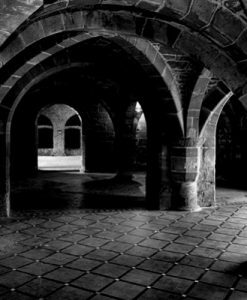 The area of the Galleries of Justice which is the most haunted is the caves and chapel. Poltergeist activity is common and items are often thrown around this part of the building. A cross that sits here is frequently thrown across the room and visitors find themselves being hit with small stones thrown at them. People also feel themselves being touched by unseen hands. Bestwood Lodge Hotel is well known for once being the ‘love nest’ of actress Nell Gwynn, who was also famous for being the mistress of King Charles II! Long before Nell Gwynn made it big as an actress, she made her living as an orange merchant. This is thought to be the reason that the family room in the hotel often smells strongly of oranges, especially when Children come to stay at the hotel. However, there are never any orange peels found in the room so the aroma is unexplained! 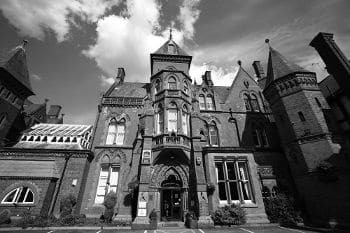 This is not the only ghostly phenomenon reported at Bestwood Lodge Hotel, staff and guests have also seen figures walking up and down the corridors and there have been phantom footsteps on the staircases. One particular member of staff had a very strange experience when he headed down to the cellar to change a barrel. While he was there, the lights went out and a voice asked ‘Can I help you, Sir?’ He didn’t wait to give an answer, instead choosing to run upstairs. He assumed a co-worker was playing a prank, but everyone was adamant that no-one had been near the cellar at the time.